In all the years now I have been working with WHOAS, one of the more positive things I continue to see, is the passion for our wild horses, that our younger generation displays. When I go out to different groups and schools giving our presentation on the Alberta wild horses to these beautiful young people, I always stress that is they and not my generation that will make the final difference in the future of our wild horses. Over the years various young people have come along and made personal donations to WHOAS, in order to help us protect and save our wild horses. One young girl made soap bars and sold them in order to help, a whole class of grade six students had a bake sale and donated the proceeds to WHOAS, one young boy collected pennies as his project for earth day, donating his collection also and there are so many other familiar stories. 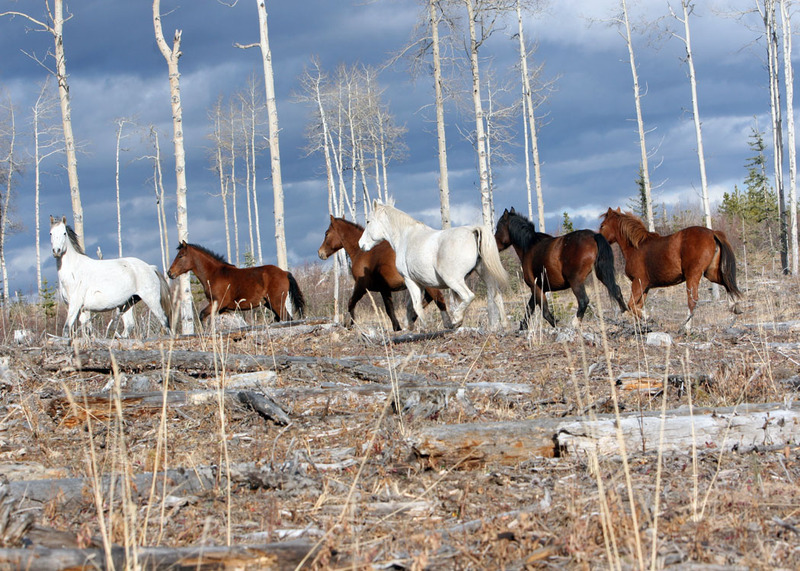 It always brings me great joy and optimism that we will indeed save the wild horses of Alberta and maybe it will be one these young people, that will take the job over from me to keep the work of WHOAS going. 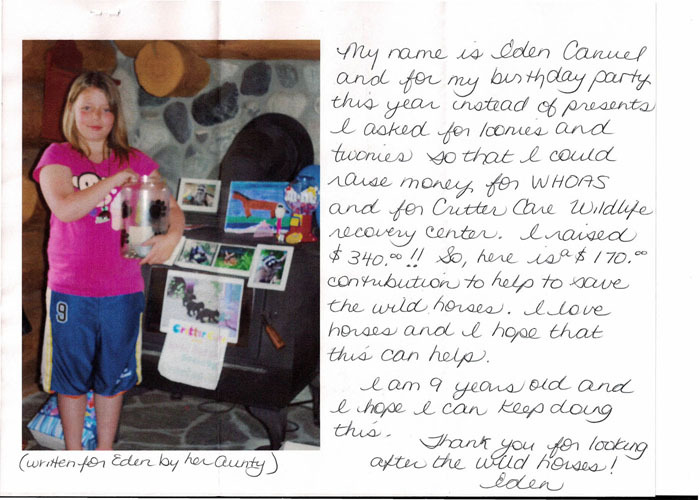 When I picked up the mail the other day I was delighted to have a letter from a young girl, Eden. I have attached it in order that you may also appreciate the unselfish efforts of this young person, trying in her own way to help out organizations that are trying make a difference in order to help both horses and other creatures in need. Thank you Eden and all of the other young supporters. With your help we will make a difference and you do make our work more enjoyable.